Yeary Lindsey seeks to provide the highest level of personal service to our clients and create architecture of enduring quality. We believe that what makes us successful is our ability to be responsive to the needs of our clients. We are able to achieve excellence through insightful and sensitive design solutions that are reinforced with a constant refinement of detail. At Yeary Lindsey Architects, we focus mainly on the design of large and small custom residences, new additions, and renovations of existing homes. We have completed several small commercial and institutional projects as well. Jim is a 1984 graduate from the University of Arkansas, School of Architecture. He has been licensed since 1990 and has developed a broad base of experience that includes commercial, public school, university and residential construction. 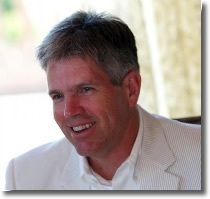 In 2003 Jim joined Yeary Lindsey Architects as a partner and in 2006 he served as Arkansas State AIA chapter President. He has received several design awards for his work. A 1984 graduate of the U of A Architecture program, Ellen Yeary opened her one person office in 1990, focusing on single family residential remodeling and new house design. This office eventually evolved into what is now Yeary Lindsey Architects. Although recently working on small commercial and institutional project interiors, houses are still Ellen’s primary focus and she continues to enjoy the variety of design issues and project types and sizes brought in by clients. Carolyn received a Bachelor of Architecture degree from the University of Arkansas in 1983 and became licensed in 1988. Her experience prior to forming Yeary Lindsey Architects in 1995 included public school, office and residential projects. While working in Nantucket, Massachusetts in 1993, she obtained extensive experience in traditional residential design. As a partner in Yeary Lindsey Architects, Carolyn has designed numerous remodelings, additions and new residential projects working closely with clients to interpret their ideas into homes that live well.